Walking down the main street, feels like months since my last hint of civilization. I'm tired and its getting late. I am not alone here, the hairs on the back of my neck make me sure of it. If the citizens are still here, they wouldn't be what I would call, living. I need to find shelter and supplies soon before sunset if I'm going to make it till morning. Listen to myself, it doesn't matter, I’m dead anyway. The seemingly lone survivor of a zombie apocalypse, Gavin lives day to day struggling to stay alive. Why did he survive? Why live on if there is no hope and everything he held close is gone? His will to keep going hangs in the balance as he struggles with the physical and mental challenges of this deadly world. Apocalypse - Three months since the apocalypse hit, you delve into the mental and physical toll of the zombie apocalypse on a lone survivor. Wandering a lonely road with no real place to go, you come across a town. Low on supplies you are forced to survive again amongst the horror. Town - Explore an open world of streets, houses, buildings where you decide where to go next. Careful it could be the last thing you do. Loot - Be sure to search your surroundings for important items essential to survival. Loot weapons, drugs, tools, and goods to stay alive, safe and sane. Inventory - A survivor needs to manage his pack at all times, a heavy pack may slow you down, not enough gear may find you short in your time of need. Humanity - Do what you need to do to stay alive. Things you witness and do will effect your ability to deal with harsh reality. There are solutions for a troubled mind but some can be equally as damaging..... don't get addicted! Stealth - You can't take on a town of the undead head on and on your own. Stealth is essential to navigate the town so choose your battles wisely. Use the environment to evade or distract the hordes. Sleep - Finding a place to sleep comfortably and safe can be tough. Your ability to heal, recover relies on sleep. Lucid dreams and nightmares may wake you. To get a good night sleep you may require a little help. Addiction - Drugs offer an escape for your mind. While under the influence you may get the sleep you so desperately need or numb physical and mental pain. Once addiction takes hold it can be a difficult thing to shake, you may find yourself detoxing when a sharp mind is needed. Craft - Need a nice hangover cure from a night of drowning your sorrows? Maybe someone made a recipe lying around. Use guides like this to help you create what you need from common household items. Weapons - Arm yourself with an array of weapons from the simple screwdriver to high powered rifles and put the poor souls to rest once and for all. Ammo is scarce, so effective management is essential to survive. Use it sparingly and wisely. Zombies- Zombies are hungry and are desperate for fresh meat. You can't help but think about them as if they are human. You aren't a murderer, but you have to do what it takes to stay alive. Whatever happens don't get bitten. Recently we made the choice to use Trello to map out our current workflow. We are using a loose implementation of Agile with a backlog of the tasks we need to complete. We have 2 week sprints in which we aim for a certain amount of task points in each sprint to complete. We have found this system works quite well given the fact that we work on this part time for now and this also gives us good flexibility as to what jobs we feel we need to do in the sprint. 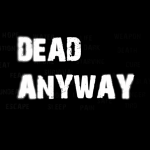 We invite you to browse the Dead Anyway’s Trello progress as the board has now been made public. Commenting and voting on features will give you the latest in a of series public spaces where we want your input. Trello will become more relevant to you as we progress into a public prototype build as the community can vote on features you want us to work on. At some point we will take ideas from the community and vote on which ones make it into the backlog to get the community more involved in shaping the game. Our previous method of documenting in Google Drive needs to be migrated fully over so expect the backlog to keep on filling up. At least fifteen new models ranging from houses, trees, props, and weapons. Integration of NoesisGUI and Lua. Two Story house navigation between levels. 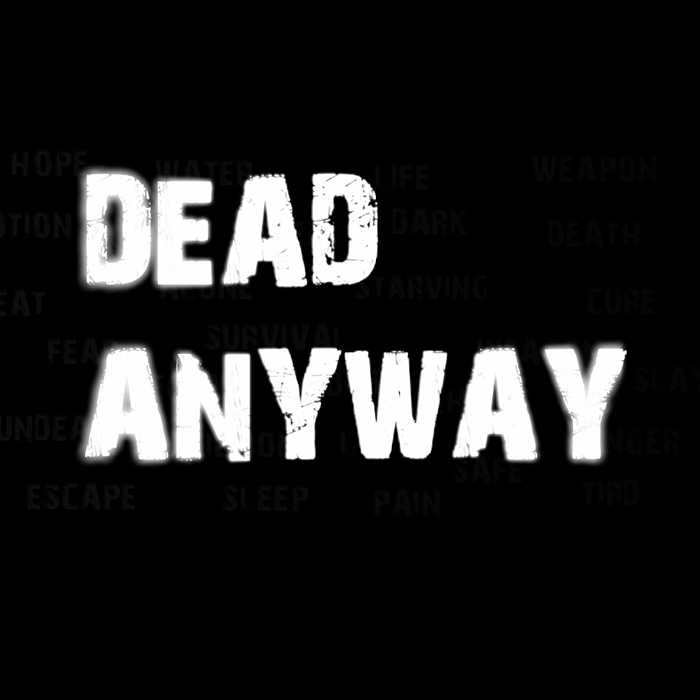 Introducing the game project Dead Anyway. Now listed on Steam Greenlight and indie DB. Yes there is always room for improvement. At the moment we are striving to meet a deadline for a playable prototype. The balance between time vs quality can be tough, and I feel I'm getting it where I need it. You can be sure I will be revisiting my creations at some stage. I will be uploading new images on average every week, or at the latest every fortnight so you will see a consistent progression. The texture work seems a bit messy, but this does seem to show off what the Engine can look like a bit better then some other games using it.